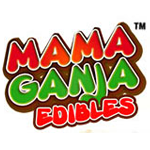 Mama Ganja Edibles is the only SC Labs tested, 100% Organic, Vader Extracts Honey Oil based edible company on the market. We guarantee consistent quality, make everything fresh in our certified kitchen, and ensure your patients will receive the best medicine possible by making weekly deliveries to your company. We have a variety of product and are able to provide customized orders & catering! 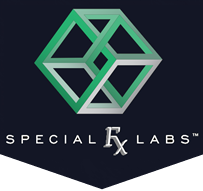 Since 2008, Special FX Labs has been setting the gold standard in cannabinoid innovations. Each of their products are precisely metered and dosed in accordance with the Lab’s dosage and potency standards. Special FX began extracting cannabis using Supercritical CO2 extraction methods using all different parts of the plant for a full spectrum of natural cannabinoids in every batch. Their products are developed and made in a professional laboratory by trained lab professionals. MoonMan’s Mistress landed into the medical cannabis community with one mission in mind – to provide a health conscious approach to those who rely on the benefits of medicinal edibles. We pride ourselves on the infinite hours of research and development devoted to ensure our hand-crafted products become a perfect reflection of our vision and also provide necessary education to our consumers on why our products are the better alternative. MoonMan’s Mistress’s ultimate goal is to deliver quality organic/Non-GMO products that nourish your body, strengthen your mind and satiate your hunger for taste worthy edibles. Dr. Robert’s Bakery is based in San Diego, CA. They have a variety of medible options, all of which use canna-butter. They are the home of the 42 Brownie, which is one of the most potent treats in California with 420 mg of THC. 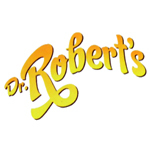 The Dr. Robert’s product line includes a number of vegan and gluten-free options as well.